Dr. Kogan is known for achieving dramatic improvement in pain without major surger also promoted to Director of Pain Management Service at Elmhurst Hospital. Dr. Mikhail Kogan is an Interventional Pain Management Specialist with extended expertise in treating back pain and cancer pain. He currently is an Assistant Clinical Professor at Mount Sinai School of Medicine at Elmhurst Hospital Center. 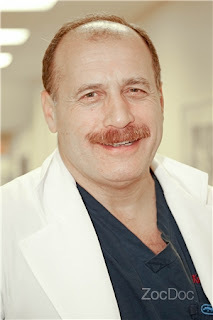 Dr. Kogan is board certified in anesthesiology and pain management. After completing his anesthesiology residency at St. Vincent's Medical Center in NYC, Dr. Kogan was fortunate to attend a pain management fellowship at the State University of New York in Buffalo, where he trained under two of the world’s most prominent specialists in pain management, Dr. Mark Lema and Dr. Oscar DeLeon. A significant part of his training was conducted at Roswell Park Cancer Institute. In 2000, Dr. Kogan was promoted to Director of Pain Management Service at Elmhurst Hospital. During the past six years, Dr. Kogan has developed pain management service into a premiere minimally invasive pain management practice with an emphasis on minimally invasive spinal techniques. Dr. Kogan continues to utilize the latest, most cutting edge spinal interventions including percutaneous disc decompressor, radio frequency neurolysis and spinal implantable devices. While Dr. Kogan's education and certifications attest to his knowledge, it is his patients’ satisfaction that justify his recognition in this area. Dr. Kogan is known for achieving dramatic improvement in pain without major surgery. Dr. Kogan prides himself on being a compassionate, caring physician with an excellent bedside manner. Dr. Kogan is a member of the American Society of Anesthesiologists and the American Society of Regional Anesthesia and Pain Medicine. Thanks for good post. If you are suffering veins problem just visit The Back Doctor and get best result.